Star Wars actor Anton Yelchin was killed by his jeep when it rolled backward and crushed him in his front yard. The actor’s Jeep Grand Cherokee, manufactured by Fiat Chrysler, was singled out last August for problems with its gearshift. New vehicles were outfitted with electronic gearshifts that did not operate in the same way as regular gearshifts. Instead of moving to a new position for each gear, the electronic gearshift was pushed and returned to a central position. Drivers had to check the highlighted gear to know the chosen gear. Many drivers, especially drivers new to these cars, were not able to discern which gear was selected, and accidentally left the car in neutral or reverse. By February of this year, the NHTSA had expanded the investigation to 856,000 SUVs made by Fiat Chrysler after many car owners complained that their vehicles rolled after the owner seemed to put the vehicle in park. As of February the NHTSA had received 314 complaints about the cars, including 121 crashes and 30 injuries, seven of which resulted in serious injuries. In April, 812,000 Fiat Chrysler vehicles were officially recalled, including the 2015 Grand Cherokee the actor owned. The company noted that it had received 700 reports related to the gearshift issue, and had notice of 41 injuries associated with the gearshift. The recall does not involve a mechanical failure of the car; rather it involves an “ergonomic issue” and drivers’ ability to properly navigate the electronic gearshifts of the cars. Anton Yelchin’s death is the first reported death related to the gearshift problem, but it is not the first instance of trouble for the company. In July 2015, before the first investigation, the company was criticized by the NHTSA for delayed recalls dating back to 2013. Fiat Chrysler agreed to pay $105 million in penalties. The gearshift issue is not the only active recall for the company right now, In May it recalled over a million vehicles with malfunctioning Takata airbags. The company noted that the recall was ahead of the recall schedule set by regulators, but that does not soften the fact that almost 2 million of its cars are currently recalled. Many drivers face danger even after a recall is issued because it takes time for a recall to become effective. Usually, drivers are alerted of recalls through their car dealer, through mail from the manufacturer, or through general media. 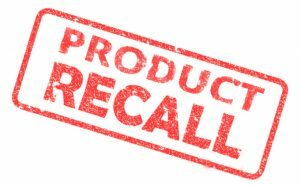 It can take months or years for some drivers to become aware of the recall. It was not known if Anton Yelchin knew about his vehicle’s recall. What’s more, statistics from the National Highway Association show that at least 25% of drivers do not respond to recalls. Some drivers who respond to recalls take their car to the shop only to find that replacement parts and exchanges are out of stock. If you or a loved one has suffered an injury from a vehicle that was recalled, you may be eligible for compensation. Call our offices today to schedule a free consultation with one of NH’s top Personal Injury Lawyers.